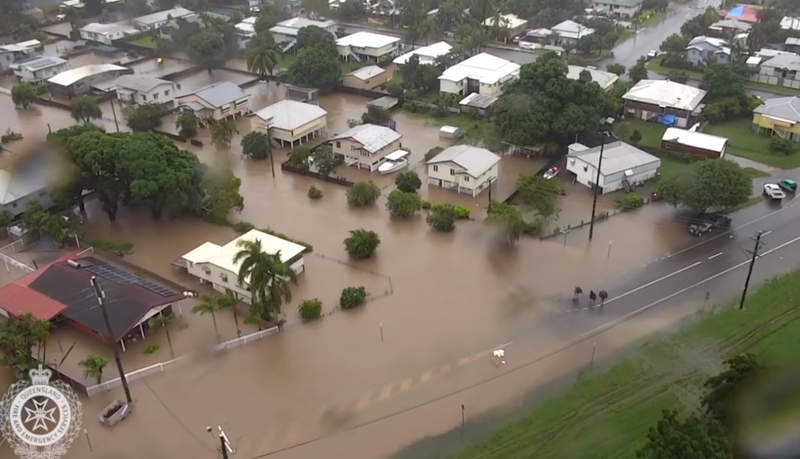 More heavy rainfall and damaging winds are expected in North Queensland, following flooding that has inundated hundreds of Townsville homes. Around 5pm today (Monday) the Bureau of Meteorology issued a Severe Weather Warning for people in Herbert and Lower Burdekin, Central Coast and Whitsundays and parts of Gulf Country, North Tropical Coast and Tablelands, Northern Goldfields and Upper Flinders, North West, Central Highlands and Coalfields and Central West Forecast Districts. The risk of further heavy rainfall remains, chiefly about the east coast between Ingham and Mackay, as well as in the North West, due to a deep tropical low north of Mount Isa extending a monsoon trough east. Queensland Premier Annastacia Palaszczuk on Saturday described the region's flooding as “unprecedented”. The Ross River Dam spillway gates remained open in Townsville today, releasing up to 1900 cubic metres of water per second. Overnight Sunday Joint Task Force 658 assisted the evacuation of about 400 people from the Idalia and Oononba areas. Ergon Energy said about 16,500 customers were without power at the peak of the flood event. This was reduced to about 14,500 customers tonight after restoring power to about 2000 customers in fringe areas where flooding was relatively minor and our network was not damaged. Ergon warned that restoration in some impacted areas could not occur until floodwaters had receded and crews completed damage assessments of inundated sections of the network.